Wisconsin’s offensive struggles in the latter portion of the season was a concern going into Friday’s NCAA Tournament opener against Oregon and those concerns turned out to be valid. The Badgers shot just 20 percent from three-point range (6 of 30) and 33.3 percent overall (20 of 60), falling to the Ducks 72-54, seeing their season come to an end. The loss was an embarrassment for the Badgers, who were tied with the Ducks, 25-25 at halftime. Ethan Happ finished with 12 points and eight rebounds but turned it over five times. Khalil Iverson, who has played well down the stretch, was the most effective Badger player in the loss, finishing with 12 points and five rebounds. Brad Davison missed all seven of his three-point attempts. D’Mitrik Trice made just 2 of 10 from distance while Brevin Pritzl went 0 for 3 and Kobe King and Aleem Ford missed both of their attempts. The Ducks (24-12) ran their win streak to nine games. Point guard Payton Pritchard finished with 19 points, eight assists and five rebounds. The Badgers have struggled to score down the stretch and it was just a matter of time before the poor shooting would catch up with them. The Badgers saw their season come to an end at 23-11. They lost in the first round of the NCAA Tournament for the first time since 2013 when they were eliminated by 12th seeded Ole Miss 57-45, in Kansas City. The Wisconsin Badgers are in San Jose, California, preparing to open the NCAA Tournament on Friday afternoon (3:30 p.m.) against the Oregon Ducks. The 5th-seeded Badgers (23-10) have gotten where they are because of their defense. But they’re going to need more from their offense if they’re going to make a deep run in the NCAA Tournament. The 12th-seeded Ducks (23-12) enter the tournament with a 8-game winning streak, winning the Pac-12 tournament title. Their defense will challenge the Badgers. During Oregon’s eight-game win streak, they’ve allowed an average of 54.3 points a game and have held opponents to 35.2 percent shooting from the field and just 23.1 percent from three-point range. Wisconsin’s shooting woes continued in the Big Ten Tournament, shooting just 40.7 percent from the field and 23.7 percent from three-point range in their two contests in Chicago. In the loss to Michigan State, the Badgers hit just 2 of 19 three-pointers. Wisconsin’s defense has been solid, but the lack of shooting puts a lot of pressure on that defense to produce. At some point, the Badgers are going to have to start to hit more of their open looks, or face elimination in the postseason. The Wisconsin women’s softball team once again saw their season end at the NCAA softball Eugene, Oregon regional. Oregon freshman Miranda Elish allowed one hit to lead the Ducks to a 9-0 win over the Badgers on Sunday. The game was halted in the fifth inning because of the mercy rule. Elish also drove in a pair of runs for the Ducks (50-6). 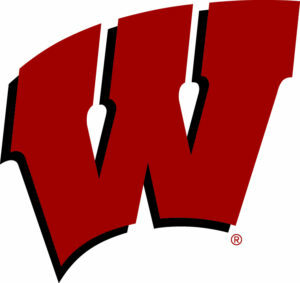 Kelly Walsh had the only hit for the Badgers, who saw their season end at 35-17. Wisconsin had Oregon on the ropes on Saturday but coughed up a 5-3 lead in the 7th inning, then falling to the Ducks in extra innings 6-5. The Badgers finished 2-2 in the regional with their two wins coming against Missouri and Illinois-Chicago.